Barrett/Barrett; Barrett/Cole; Ford/Marley; Marley. Very Good. In very good packaging. 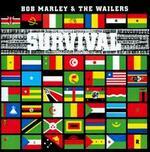 Marley, Bob-Songs of Freedom by Marley, Bob. Barrett/Barrett; Barrett/Cole; Ford/Marley; Marley. Very Good. In very good packaging. 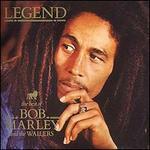 Bob Marley-Songs Of Freedom by Bob Marley. Barrett/Barrett; Barrett/Cole; Ford/Marley; Marley. New.